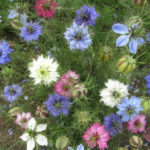 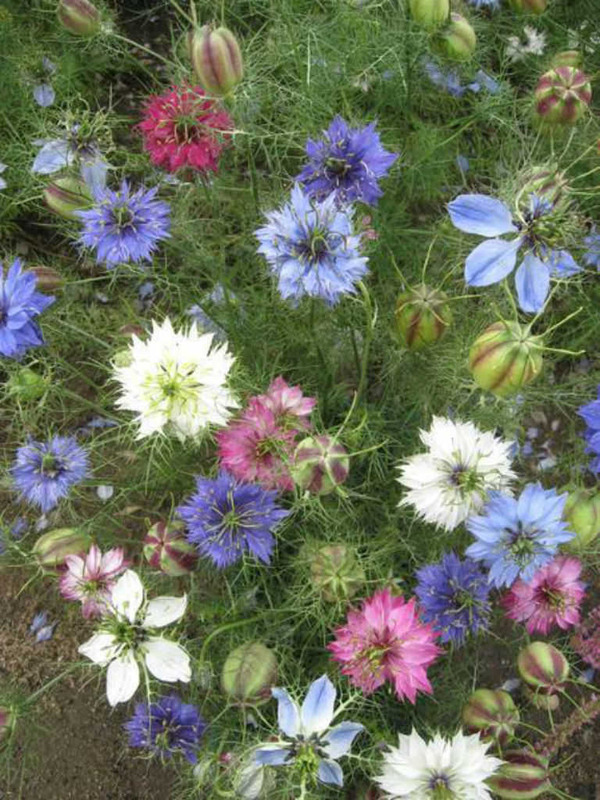 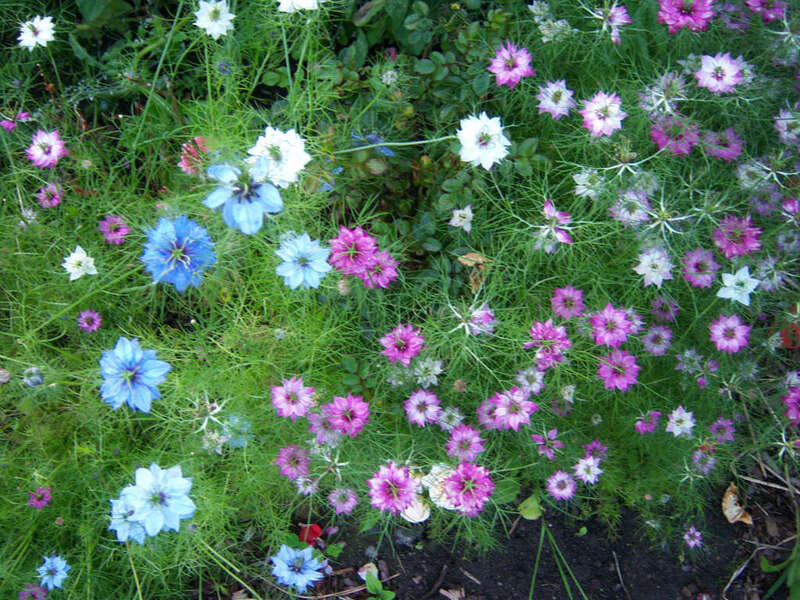 Nigella damascena ‘Persian Jewels’ is a charming, hardy, self-sowing annual up to 16 inches (40 cm) tall. 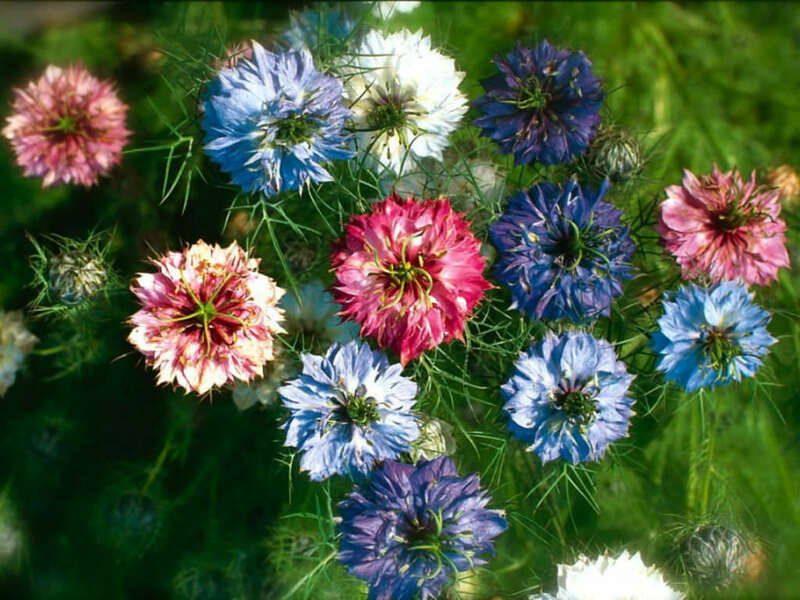 It bears delicate, old-fashioned flowers of red, rose pink, blue, deep violet-blue and white, each backed by a wispy, bright green ruff. 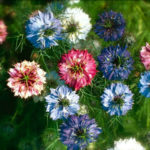 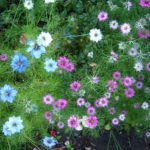 It is very popular cut flower and can be dried for winter decoration. 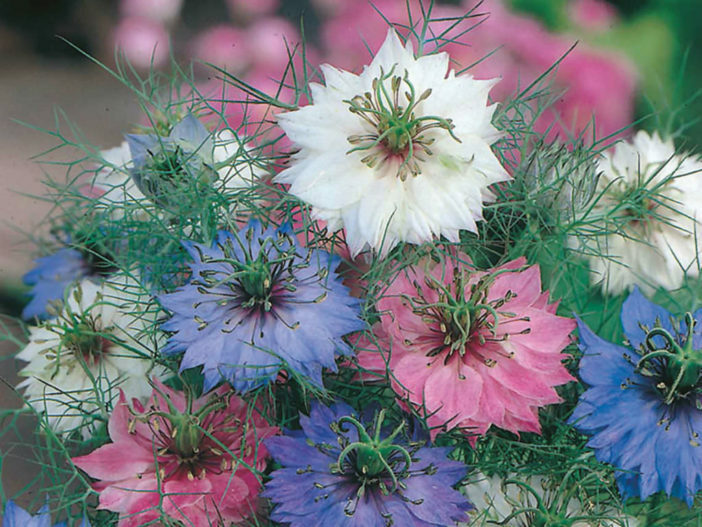 Nigella damascena ‘Persian Jewels’ is a popular cultivar of Nigella damascena.